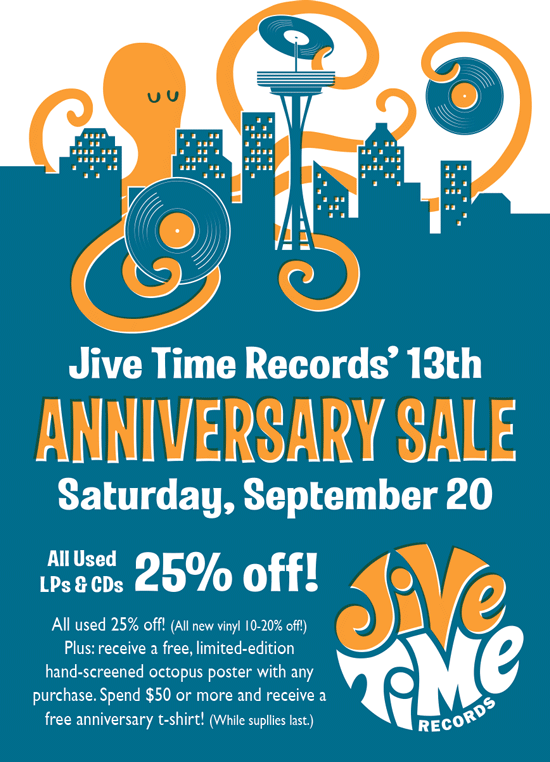 SAVE THE DATE: Join us Saturday, September 20 for our 13th Anniversary Sale! All used vinyl & CD’s 25% off. All new vinyl 10-20% off. Plus: receive a limited-edition, hand-screened octopus poster with any purchase. Receive a special anniversary t-shirt with any $50+ purchase. (While supplies last). See you Saturday!